The diamond roof is a patented geometry that arranges solar modules in a three-dimensional structure, suitable for infinite extension. diamond roof® uses the available surface area almost completely and therefore provides plant operators with higher yields per unit of surface area than today’s systems. The first diamond roof ground mounted production prototype has been shown at INTERSOLAR Europe 2017. Several solar farms are planned. 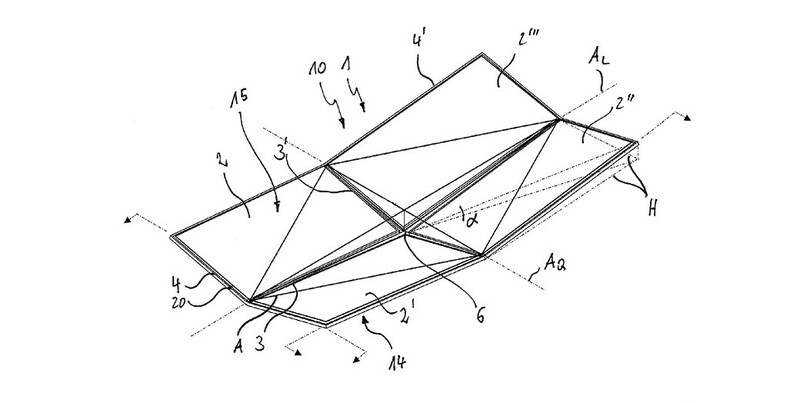 The patent for this geometry is in force in twelve countries.